This section of the rules describes the various conditions that may affect an investigator during the course of the game. An investigator begins the game with a number of Sanity and Stamina tokens equal to the values listed on the investigator's sheet. These two values are the investigator's maximum Sanity and maximum Stamina. 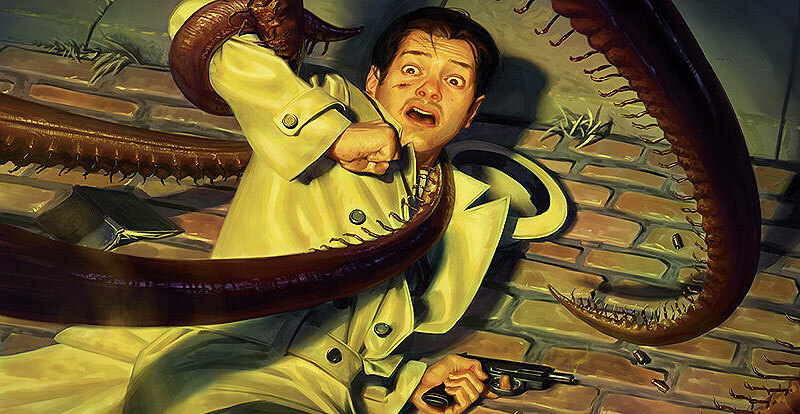 While an investigator may gain and lose Sanity or Stamina over the course of the game, the investigator's current Sanity or Stamina may never exceed the investigator's maximum Sanity or Stamina. If an investigator is ever reduced to 0 Sanity while in Arkham, the investigator is driven temporarily insane. He must immediately choose and discard half of his items and half of his Clue tokens (rounded down), along with all retainers (if any). The player then immediately moves his investigator to Arkham Asylum. The investigator is restored to 1 Sanity, returning 1 Sanity token to his investigator sheet, and has no further encounters this turn. The investigator may take his next turn as normal. If an investigator is ever reduced to 0 Stamina while in Arkham, the investigator is knocked unconscious. He must immediately choose and discard half of his items and half of his Clue tokens (rounded down), along with all retainers (if any). The player then immediately moves his investigator to St. Mary's Hospital. The investigator is restored to 1 Stamina and has no further encounters this turn. The investigator may take his next turn as normal. If an investigator is reduced to 0 Stamina or 0 Sanity while in an Other World, the investigator is lost in time and space. He must immediately choose and discard half of his items and half of his Clue tokens (rounded down), along with all retainers (if any). His Stamina and Sanity are restored to a minimum of 1. The player immediately moves his investigator to the Lost in Time and Space area of the board and places the investigator marker on its side to indicate that the investigator is delayed. Important: When adding up items before discarding them, count all Common Items, Unique Items, and Spells. In addition, the Deputy's Revolver and the Patrol Wagon both count as items. Allies, Skills, and other cards do not count towards this total. An investigator whose marker is placed on its side has been delayed. Delayed investigators do not move during the Movement Phase, and they receive no movement points. Instead, when the player of the delayed investigator takes his turn in the Movement Phase, he should stand the investigator marker back up to show that the investigator is no longer delayed. Some encounters may result in an investigator being arrested and taken to the Police Station. When this occurs, the player should place the investigator in the Jail Cell (rather than the main Police Station area). Arrested investigators lose half of their money (round down) and are delayed. The player completely skips the next turn, simply standing his investigator marker and placing it in the main area of the Police Station during the Movement Phase. The player may act in the following turn as normal. Any investigator who is lost in time and space is immediately moved to the Lost in Time and Space area of the board. The investigator is now delayed, and the player should place the investigator marker on its side. The investigator loses his next turn, remaining in the Lost in Time and Space area. The player may only stand his investigator marker back up during the Movement Phase. 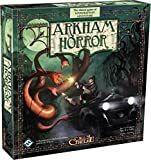 On the following turn, at the start of the Upkeep Phase, the player may move his investigator to any location or street area of his choice in Arkham. In rare cases, investigators may be devoured. The player immediately discards all of his cards (except unspent trophies) and shuffles his investigator sheet in with the unused investigator sheets. The player then draws a new investigator at random and sets up the investigator as if he were starting a new game. If an investigator is reduced to both 0 Sanity and 0 Stamina at the same time, that investigator is devoured. If an investigator's maximum sanity or maximum stamina is reduced to 0, that investigator is devoured. Blessings and curses represent aid or interference from greater powers, and investigators may gain these cards through encounters or rumors. While an investigator is Blessed, every die result of 4 or better counts as a success. While an investigator is Cursed, only die results of 6 count as successes. An investigator may never be Blessed and Cursed at the same time. If a Blessed investigator is Cursed, simply discard the Blessing. If a Cursed investigator is Blessed, simply discard the Curse. Likewise, a player may never have more than one Bless or Curse card at a time.